A light ruling - Patent my French! 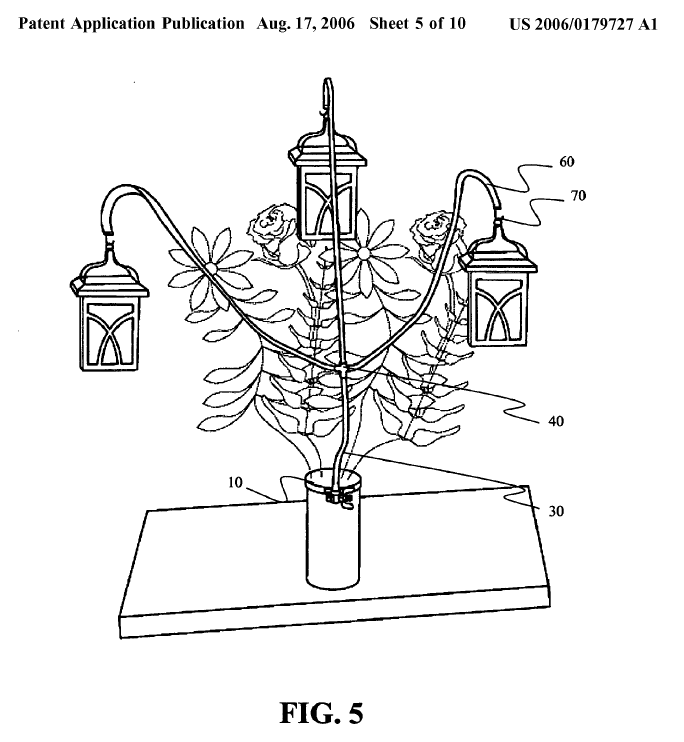 The case discussed today is not a light case of patent infringement. Nor is it a case of light patent infringement. It is rather a case of patent infringement regarding light technology, namely LED-based lamps emitting light in multiple colors. The litigation at stake pits Philips Light North America Corporation against France-based Commerce Spectacle Industrie (CSI). This is a multifaceted dispute, but the prong of the litigation of interest to us today is Philips’ infringement claim against CSI based on the French part of European patent No. EP 1016062, and CSI’s counterclaim for revocation. As a one sentence summary, the Paris Tribunal de grande instance (TGI) held that the patent was valid but that infringement was not sufficiently proven. For once, let’s start with the infringement part of the decision. – said controller being arranged to generate a plurality of PWM signals, the PWM signals having uniform frequency, each signal corresponding to a respective colour of the plurality of LEDs of different colours, each said PWM signal causing a respective one of the at least two switches to be opened and closed at the uniform frequency according to respective independent duty cycles, and wherein said data stream portion comprises data for determining the respective duty cycles of the at least two different colour LEDs. Philips’ case primarily relied on experimental tests conducted on the allegedly infringing lamps by an expert appointed by them. CSI criticized the report drafted by the expert. One major criticism was that Philips’ expert had used an oscilloscope for the experimental tests, without following the procedure set out in the instruction manual for this apparatus. In particular, the expert’s report did not show that the oscilloscope had been preheated for 30 minutes as recommended in the manual, and that a proper calibration had been performed. CSI added that there were a number of loopholes in Philips’ demonstration, namely that “the expert report does not mention a periodic opening and closing of the switches, that [Philips] does not show how the current paths are and does not establish the presence of respective current paths […], that they never show how a switch would be connected to the diodes“. Did the court see the light, readers are probably wondering? For each product, [Philips] relies on measures made with an oscilloscope, the conditions of use of which are not specified in the expert report […], although it is true that the instruction manual [….] notably requires a preheating of at least 30 minutes and a calibration before each use so as to allow optimal measurements […]. These basic precautions were not taken, so that the measurements obtained are necessarily suspect. It cannot be understood how the absence of a calibration could have no impact on the shape or (supposedly uniform) frequency of the signals, nor how the absence of preheating would not affect the measurements. The [alleged] continuous use [of the oscilloscope] for all measurements after the first one, which cannot be determined in the absence of any timing information in the report, and which cannot be derived from the order of the annexes which does not necessarily reflect the order of the operations, is not proven and may not compensate for a possible original malfunction. Frankly, I am not sure what to make of all this. On the one hand, we all remember from our science classes that calibration is not just for window-dressing. Did the expert proceed according to accepted practice or not? If the report is silent on this, the defendant and the judges cannot know for sure. But on the other hand, any experimental report can always, always, be criticized for some choices that were made in the setup, or some omissions in the report itself. Therefore, wouldn’t it be reasonable to consider that, if one party has taken the trouble of conducting experimental trials to prove its case, and if the other party wants to challenge the results of the trials, this other party should also make the effort of conducting counter trials – instead of simply pointing to potential loopholes? Well, at any rate it does not look like this is the approach followed in France. The infringement plaintiff has the burden of fully proving the existence of the infringement, and the burden does not shift to the defendant by providing evidence which is anything short of bullet-proof. Assuming that these measurements were sufficient, they would demonstrate an independent command of colors, but not the existence of “respective current paths” […], i.e. paths related to each light source, since independence does not per se imply an exclusive assignment. And the diagrams supplied for each product only show one light source, which prohibits any appraisal of the “respective” character of the current paths. Philips’ solace was that the patent was found to be valid. CSI had only raised lack of inventive step as a ground of nullity. As a confirmation of a now well-established trend, the court followed the problem and solution approach for assessing inventive step – primarily because the parties themselves used this reasoning. – examining whether, in view of the closest prior art, the skilled in the art would or would not [have been] suggested with the claimed technical features to achieve the results obtained by the claimed invention. In brief, this quite closely matches the EPO’s beloved reasoning. As set out in section G-VII, 7 of the Guidelines for examination at the EPO, if the claimed invention is in principle considered as a whole, which excludes that the inventive step of a combination of features be appraised for each feature taken in isolation, such a separate appraisal is necessary if the claim is made of a juxtaposition of features, and not of their combination which implies that the functional interaction between them produces its own technical effect exceeding the sum of the technical effects that they individually produce, namely a synergy effect. Applying these principles to the EP’062 patent, the court focused on the first partial problem only, and found that some of the claimed features were in fact neither disclosed in the closest prior art, nor in the suggested secondary reference. Therefore, it was simply impossible to arrive at a conclusion of lack of inventive step. Besides, the rationale offered by CSI for combining the documents together did not take into account the technical problem at stake in the patent. And the respective prior art documents contained contradictory teaching. All in all, there were thus several reasons to find the claim inventive, without even having to look at the second partial problem. CASE REFERENCE: Tribunal de grande instance de Paris, 3ème chambre, 1ère section, November 16, 2017, Philips Lighting North America Corporation v. SAS Commerce Spectacle Industrie, RG No. 15/09326. Pingback: Red tape on a dyesheet - Patent my French! Previous Previous post: Weaker together? Next Next post: A fitting approach?